Fixtures position parts for optimum cleaning to reduce cleaning time, improve deep cleaning, improve rinsing, and improve drainage for best flash drying effect. A fixtures allows utilization of the full work volume of washer. 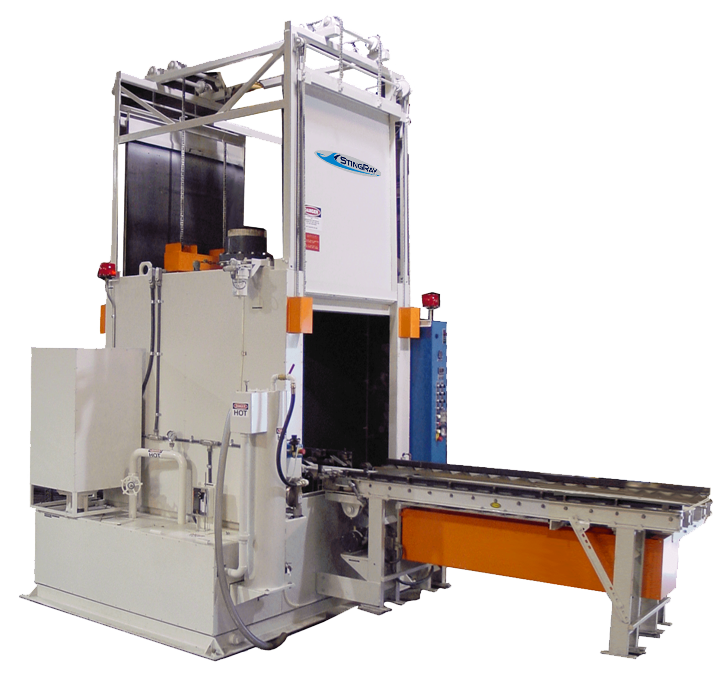 Without proper fixturing, operators end up laying parts on the turntable and using only a portion of the machine capacity. A majority of the wash nozzles can end up blasting the inside walls of the parts washer wasting the cleaning power of the machine. Laying parts on the turntable many times results in poor angles of attack for the wash nozzles and poor drainage of the parts after the wash cycle. Areas on the parts that pool wash solution do not rinse well. Proper fixturing allows for maximum drainage and maximized angles of attack. StingRay engineers know the best way to maximize the Power Wash process and apply it to your parts. 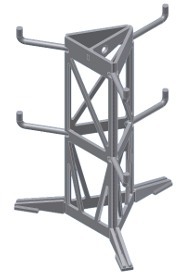 Engineered for fast, secure loading and unloading, StingRay engineers have experience designing hundreds of fixture applications most likely just like yours. 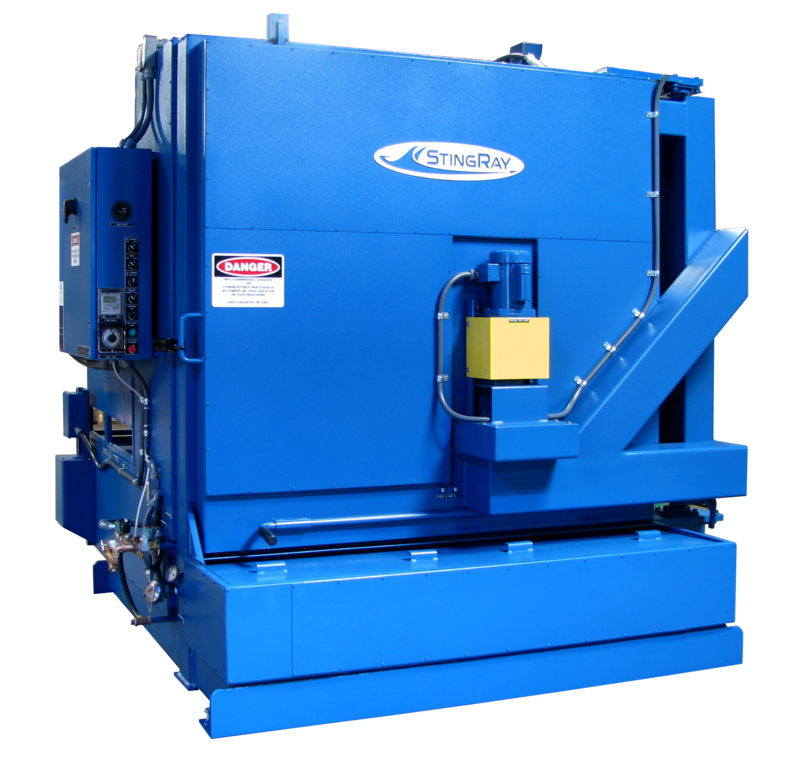 All steel or stainless steel welded and formed construction designed specifically for your parts and the material handling methods used in your shop. Optional plastic coating protection for preventing marring of parts.